Rajinikanth had completed filming his part of the film that was to be shot in Mumbai and flew out to Chennai earlier this month but he left behind the rest of his cast and crew, who continued shooting. Team Kaala Karikaalan has now almost wrapped their extended shooting schedule with the last day being Thursday. "The Mumbai portion will be wrapped up on Thursday. The team will next head to Chennai where they will shoot in the replica of Dharavi slum set, which was constructed on a whopping budget," news agency IANS quoted a source close to the film as saying. While in Mumbai, Rajinikanth's team had a difficult time keeping the onlookers in check during the shoots. "Most of the Mumbai portion was shot outdoors and the team had a tough time managing the crowd. They were always at the risk of a shot or pictures from the shoot being leaked," the source added," reported IANS. 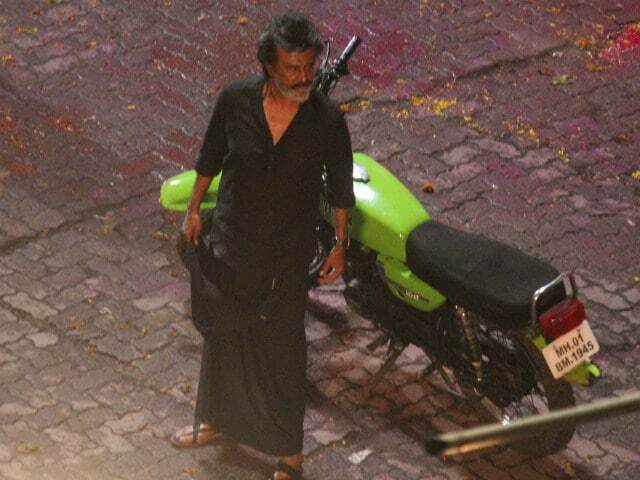 In Kaala Karikaalan Rajinikanth plays the titular role, a slum-lord-turned-gangster. Initially, shooting of the film was being considered to be done in Mumbai's Dharavi, one of the largest slums of the world, which was later cancelled keeping the actor's security in mind. The film's team, along with the 66-year-old megastar, will now continue filming in a special set which has been created to look like the Mumbai slum. "Rajini sir plays a slum lord. Originally, the plan was to shoot in real Dharavi, but we realised it would be impossible. Hence, an exhaustive set was built in Chennai to shoot major portion of the film," a source had revealed to IANS earlier. Kaala Karikaalan also stars Nana Patekar, Huma Qureshi, Anjali Patil and Samuthirakani in significant roles while Pankaj Tripathi features as a cop with 'shades of grey.' Kaala Karikaalan marks the second collaboration between director Pa Ranjith and Rajinikanth after 2016 blockbuster Kabali, which was also a gangster drama.